The new collection palette drifts between nuances of blue from a powdery hue to darker, more intense variants of sapphire and navy, as if illuminated by the intensifying light that carries us from Spring to Summer. 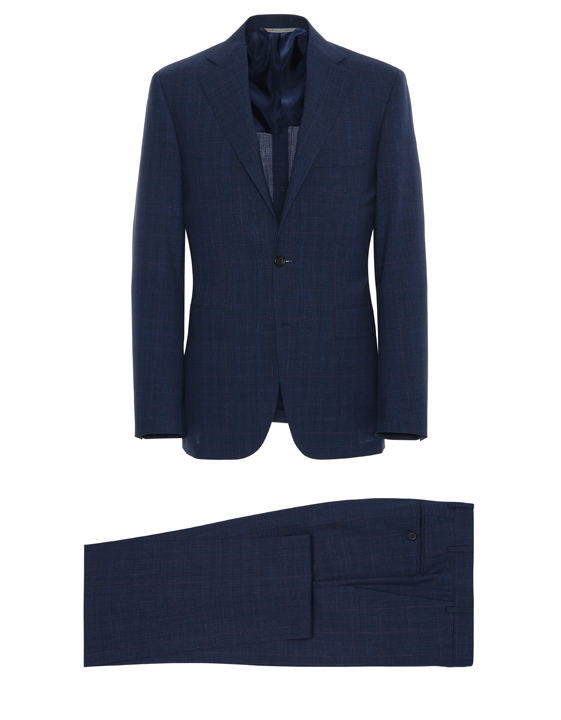 The fabric selection consists of lightweight wools, at times blended with luxurious silks and linens, on which classic menswear motifs like checks, chalk stripes, houndstooth and Prince of Wales take shape in contemporary creations. A Springtime polo in a luxurious blend of lightweight wool and silk renders this ensemble a masterpiece of balance between formal and casual. 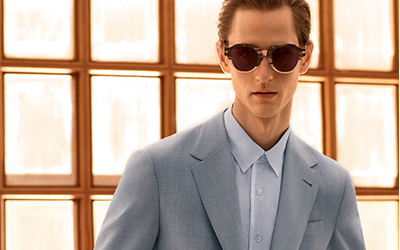 The suit, which comes in an elegant sapphire blue with a delicate overcheck is contrasted by the Bordeaux polo, creating an aesthetic that evokes distinction and style. 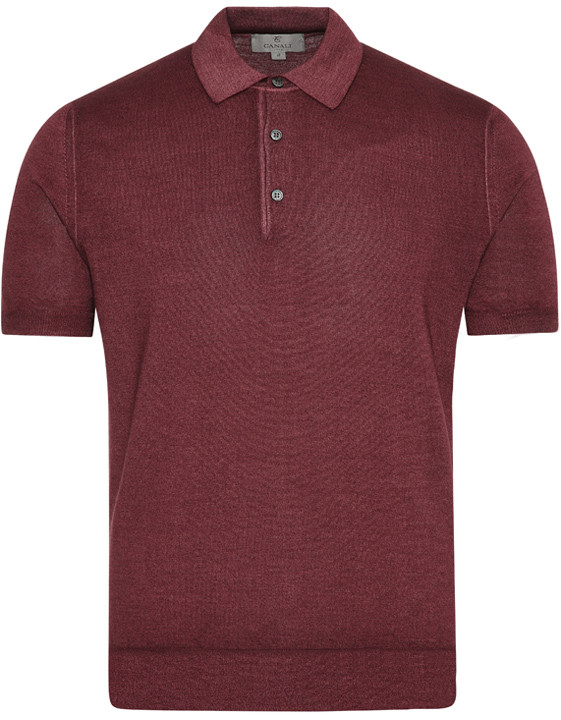 Made from a prestigious blend of wool and silk, this lightweight knit polo shirt features a delicate cloud effect texture that lends a dynamic and luminous aspect to the item. It comes in a bold yet elegant shade of Bordeaux that will add an eye-catching and contemporary touch to your Spring Summer ensembles. Pair with chinos and sneakers for the perfect weekend look. 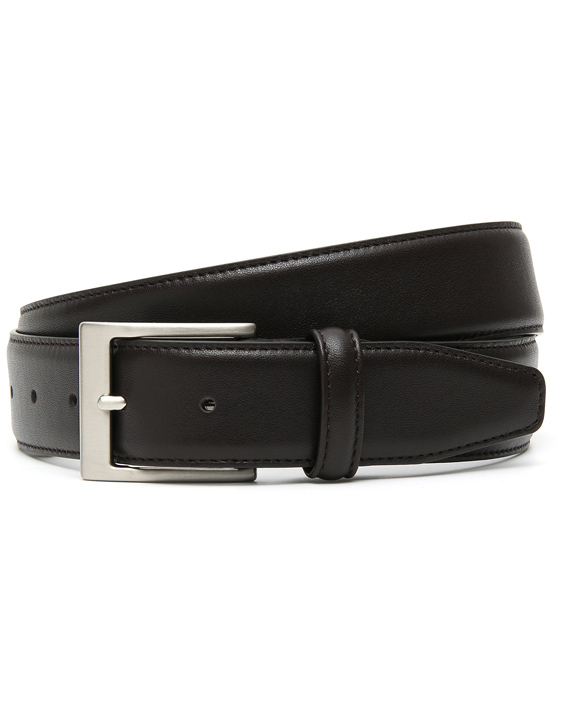 This classic belt is a must for every men's wardrobe. This accessory comes in an elegant dark brown calfskin leather and features a rectangular buckle for a sophisticated and stylish look. 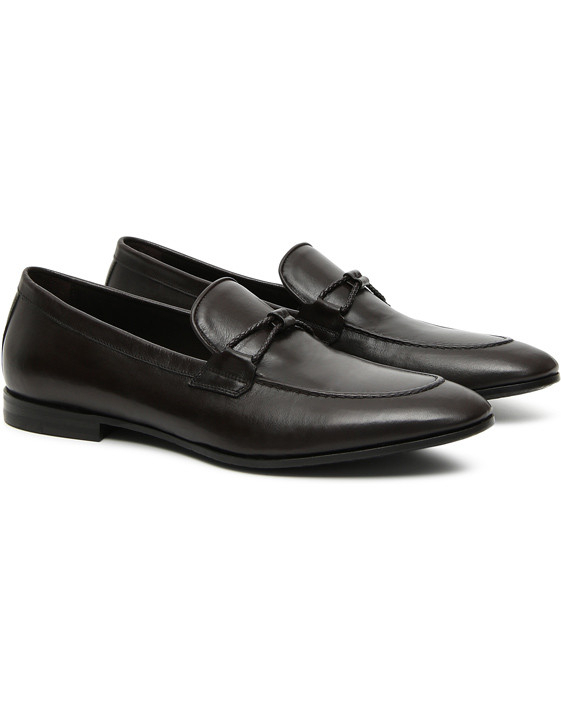 Pair with matching dark brown leather shoes to complete your ensemble. These loafers are made from a particular kangaroo leather for an ultra-soft shoe that will quickly become a go-to in your accessory collection thanks to its comfortable fit and elegant aesthetic. The upper features a refined decoration that adds a distinctive finishing touch.